Antonio Conte has been out of work since leaving Chelsea last summer, but he continues to be heavily linked with a move to Inter. 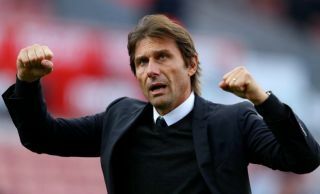 As noted by the Daily Mail, the Italian tactician is still entangled in a battle off the pitch with the Blues, as his split from the Premier League giants hasn’t been smooth. Having had a year remaining on his contract before being dismissed, a severance package has reportedly yet to be agreed upon. In turn, he’ll likely be eager to clear that mess up first before returning to management, but it seems as though his most likely next destination will be Inter. As reported by Calciomercato, via the paper edition of Corriere della Sera, it’s suggested that Conte is in ‘pole position’ to take the Inter job at the end of the season. That would suggest that Luciano Spalletti’s position is not safe, as the Nerazzurri continue to battle for a top-four finish in Serie A this season while having crashed out of both the Champions League and Europa League this year. Not even a win in the Derby della Madonnina on Sunday night against rivals AC Milan has been enough to silence the speculation, with the report above coming out less than 24 hours after their 3-2 win in a thrilling encounter which moved them back up to third place. In turn, the pressure will seemingly remain on Spalletti’s shoulders, with the shadow of Conte continuing to hang over him as a possible return to Italy after his successful stint at Juventus seems to be in the offing. Such an appointment for a Juve legend will not go down well with the Bianconeri faithful given the history and rivalry between the two clubs, but ultimately it remains to be seen if there is official confirmation in the coming months to announce Conte’s return to management.